Most landlords eventually encounter a problem with a difficult tenant at some point in time. While an eviction may seem like the best way to deal with these situations, they must be handled carefully and in the right way. 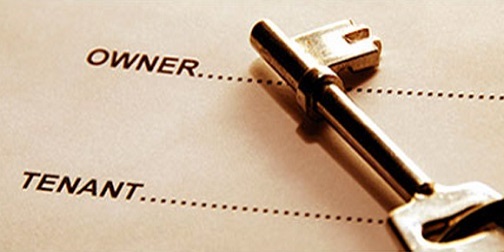 Tenants have certain legal rights that landlords must abide by. If a landlord does not utilize the proper legal procedure when attempting to evict a tenant, it could end up being a costly and time-consuming endeavor for the landlord. Here are some common mistakes that landlords often make when it comes to evicting a tenant, as well as some tips for landlords on how to avoid making these eviction mistakes. Even when a landlord owns the property, evictions need to follow a very specific legal process. This means a landlord cannot simply change the locks or remove the tenant’s belongings from the rental property just because they want the tenant to leave. Landlords are also not allowed to make living conditions unsafe or unbearable with the hopes of forcing a tenant to move out. This includes turning off the electricity, water, or canceling other utilities. Another thing to keep in mind, apart from these practices being illegal, is that these situations could potentially create a violent or dangerous reaction from the tenant. When safety or personal belongings are violated, some people can respond in a very emotional or aggressive way. You could be putting yourself and your other tenants in danger by attempting to force a difficult occupant to leave through extreme measures. If you are unsure whether or not certain methods are illegal, it is always a great idea to connect with a professional eviction services company before acting. In order for a landlord to legally evict a tenant, there are certain notices that need to be given and in a particular order. These notices also have to be delivered in a certain way, such as via mail or hand-delivered directly to the tenant. If a notice is not delivered properly or in the wrong order, it may null the entire eviction process. Some landlords attempt to speed up the process and serve notices without waiting for the proper amount of time to pass between notices. They may also jump to a phase further in the eviction process, inadvertently skipping essential steps that need to be taken. When in doubt, contacting a local eviction services professional is the best thing you can do to make sure you’re following the correct procedures. There are many reasons a landlord may need to evict a tenant, which can include neglecting responsibilities to maintain the property, failure to pay rent, breaking terms in the lease agreement, or even creating a significant disturbance to immediate neighbors or other tenants. All of these can potentially be valid reasons for evicting a tenant, but they also have to be proven and documented. For instance, if a neighboring tenant constantly complains about another tenant, the landlord may be tempted to threaten the offending tenant with an eviction just to keep the other occupant happy. One tenant’s complaints, however, do not actually constitute a valid reason for eviction. You must serve the tenant with the correct notice and give them the legally allotted amount time to stop their actions that are causing the disturbance before an eviction can even be considered. Sometimes landlords may be tempted to simply make occupying the property unbearable as a means of getting problematic tenants to leave. Some tactics landlords might employ are failing to maintain the property adequately or refusing to make essential repairs. Additionally, a landlord may try to force the tenant to leave by making threatening phone calls or aggressively visiting the tenant in person. Landlords practicing these tactics could find themselves engaged in a costly legal situation, or worse. Furthermore, many of these tactics can backfire on the landlord. As mentioned earlier, some tenants could potentially react in a very violent or destructive way if they feel threatened. Not only will this hold the eviction progress back, but landlords could also be putting the entire building at risk by creating a tense situation and unsafe environment. When a landlord owns a property, the financial stakes are high. Whenever money is involved, emotions tend to be as well. Whether the issue is that tenants have failed to pay rent and are putting the landlord in a financial bind of their own, or that the tenants have damaged the property and decreased its value, it’s easy to have an emotional reaction. However, this rarely ends well and will most likely not lead to a quicker eviction of that tenant. As a landlord, it’s always in your best interest to maintain your professionalism, even when dealing with extremely difficult tenants. When emotions run hot, landlords can end up reacting rashly, potentially creating legal problems for themselves. Although certain situations can be frustrating, you may say something that will incriminate you, making it almost impossible to evict the tenant. While every state has their own set of eviction procedures and rules, having to evict a tenant in any state is a stressful process that can take a toll on both the landlord and tenant. By having to spend an ample amount of time and effort on evicting a tenant, the other property occupants can suffer due to inadequate services or delayed maintenance. It can also be emotionally taxing for a landlord to have to evict a tenant, especially if both parties have known each other for a long time. For Las Vegas, North Las Vegas, and Henderson residents in Nevada, hiring a professional Las Vegas eviction services company provides landlords with a buffer between themselves and their tenants, which can greatly help make the entire eviction process as quick and efficient as possible. With the potential legal ramifications of not following proper procedures looming over landlord’s heads, the best course of action for landlords facing a difficult tenant is to use a professional eviction services company. Using eviction experts can ensure that all proper procedures are followed, emotions stay in check, and that said landlords are able to focus on other responsibilities and living their lives to the fullest.